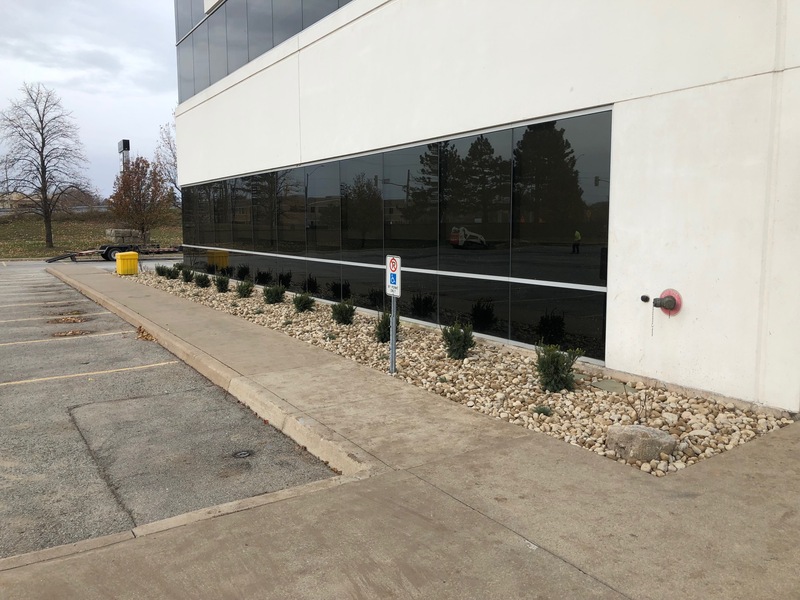 Keep your commercial property looking beautiful all year long! 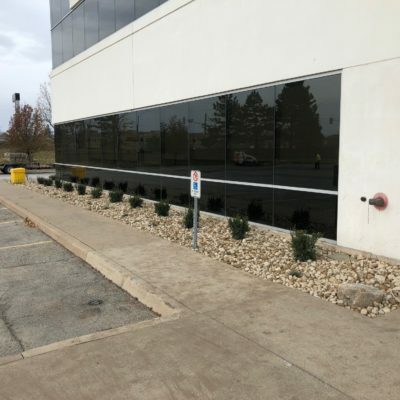 Rynberk Landscape specializes in commercial property maintenance offering complete landscape management services including snow removal and ice control. 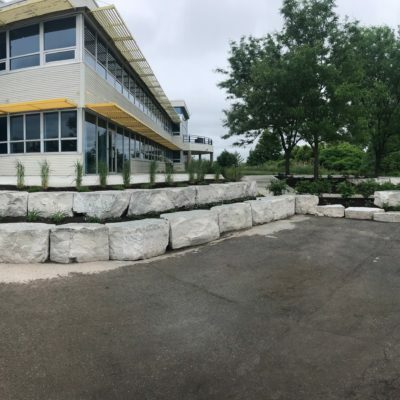 We offer seasonal contracts for your property up to 8 to 12 months which makes it much easier for your business to manage monthly cash flows. 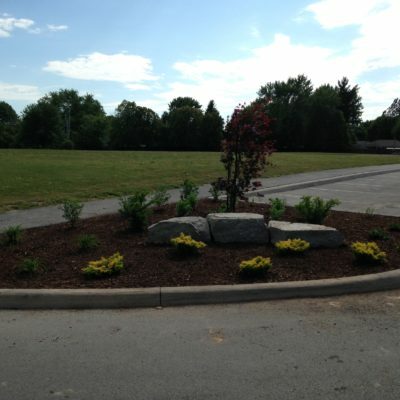 We will work with you to detail your contract to fit your needs. 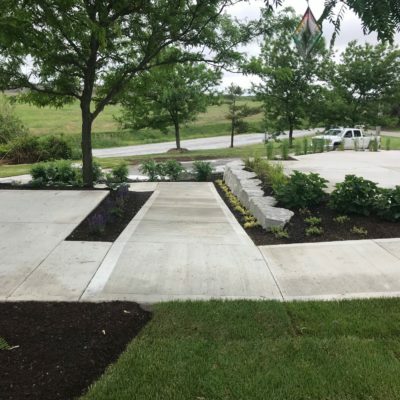 We also offer full scale landscape construction services to completely restore or change any existing commercial landscapes. 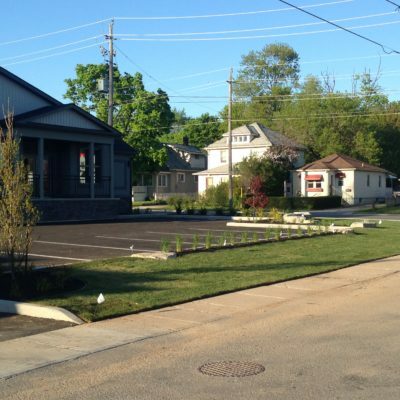 For more information, please contact us or request a FREE quote for your commercial property. 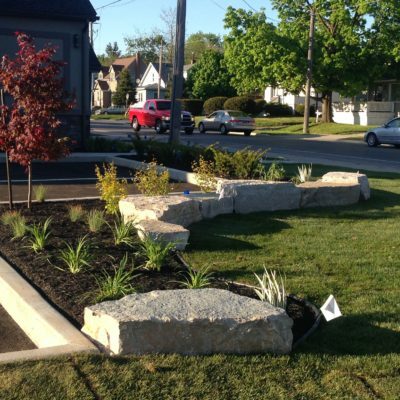 Landscape design and construction, interlocking stone, natural stone, retaining walls, deck and fence, grading and sodding new and existing. 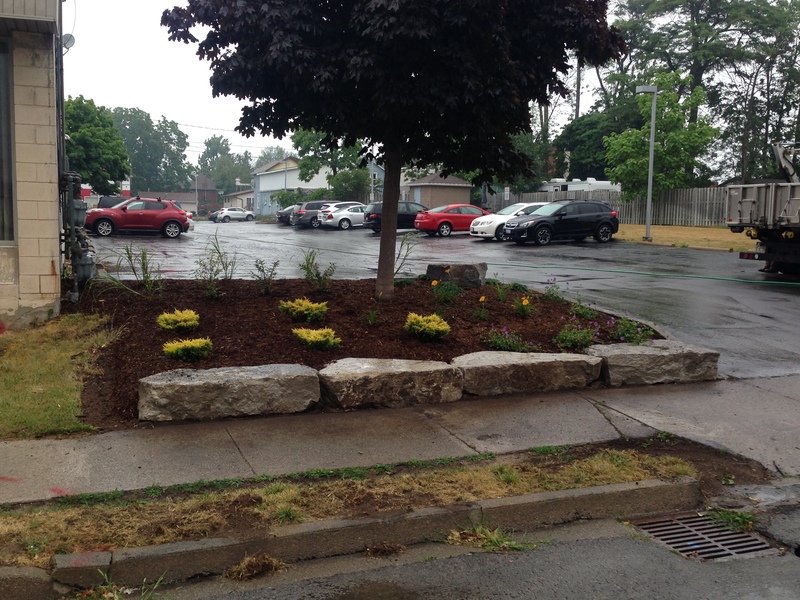 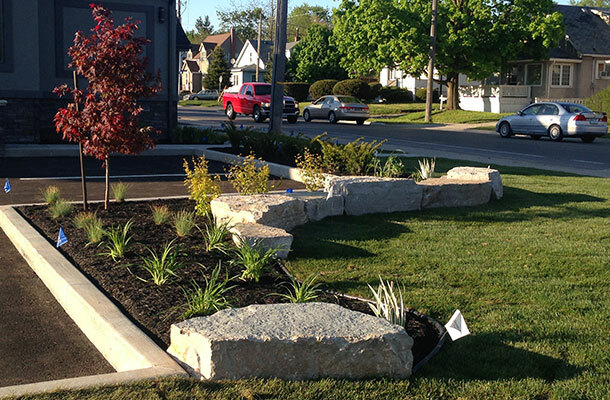 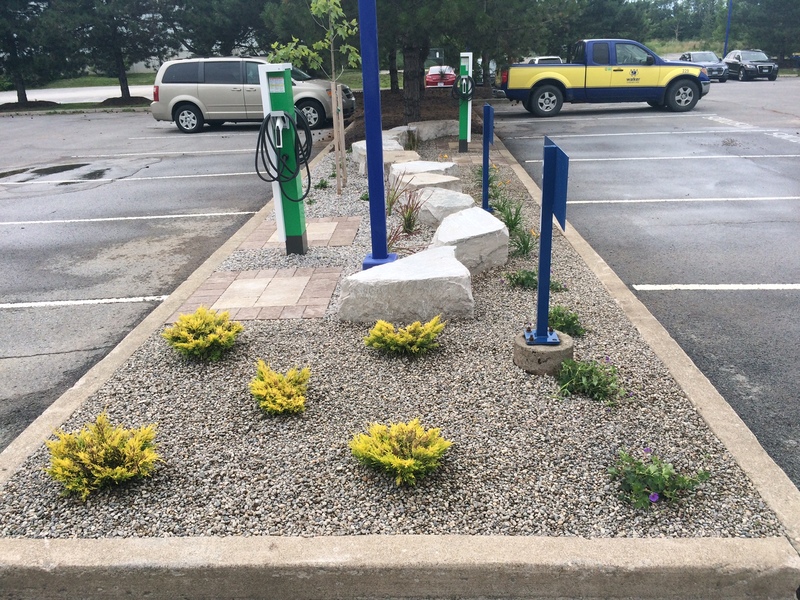 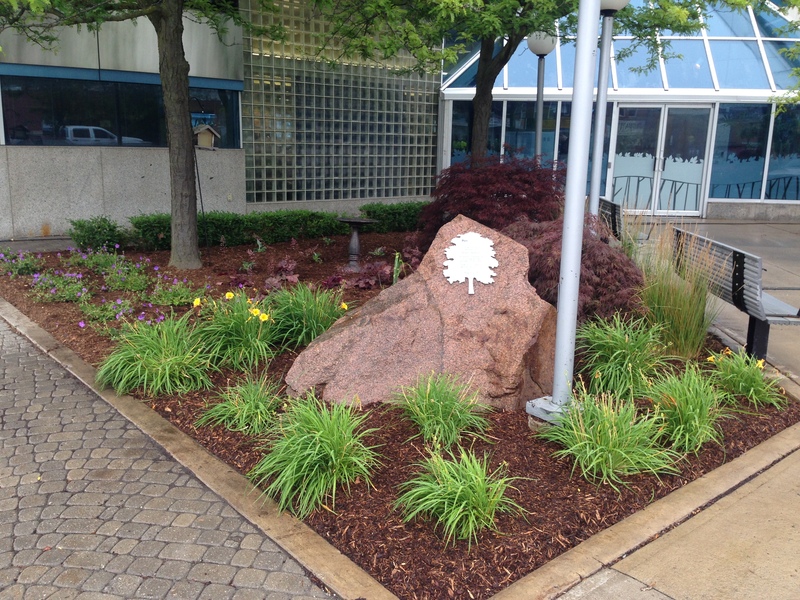 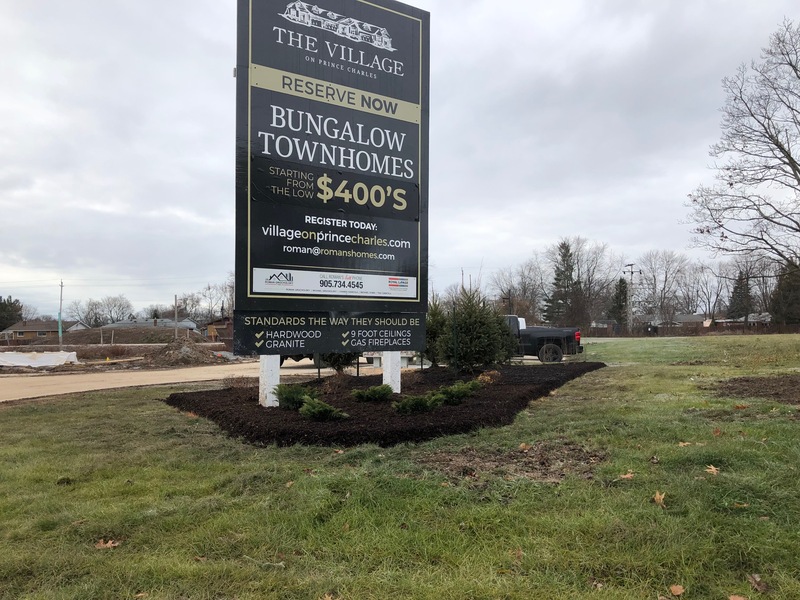 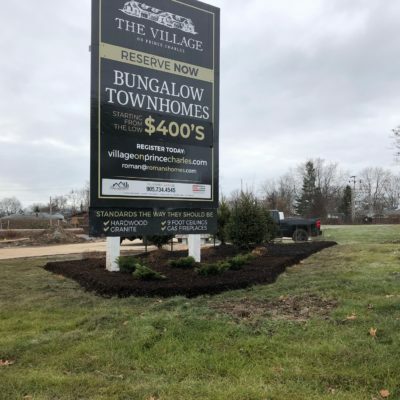 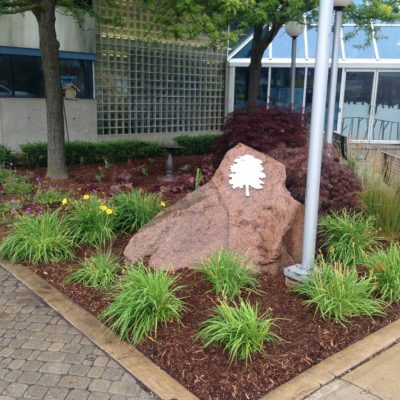 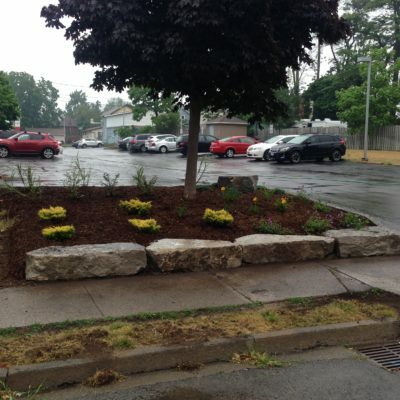 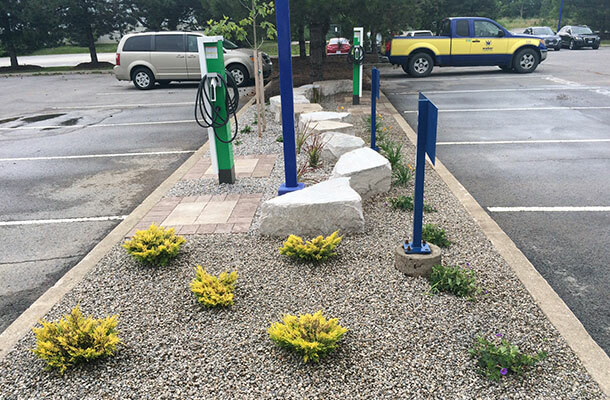 Modify or spruce up existing flower beds and hardscape around your commercial property. 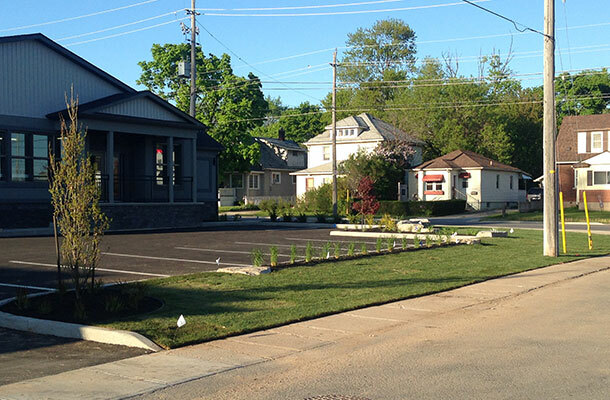 Core aeration and power rolling services during the spring. 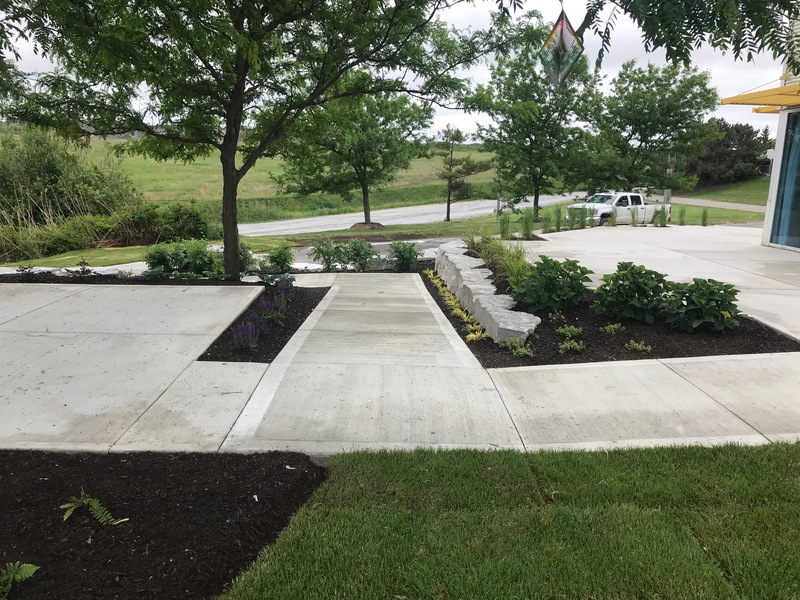 Raking of leaves and debris from lawn and gardens, trimming shrubs and other miscellaneous work. 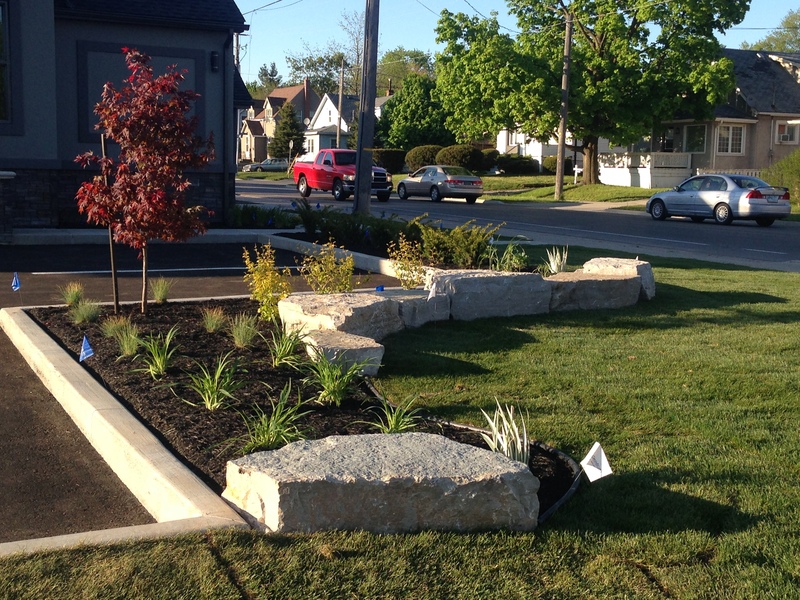 Spring, late summer and fall fertilizing with quick release nitrogen to keep your grass healthy and green. 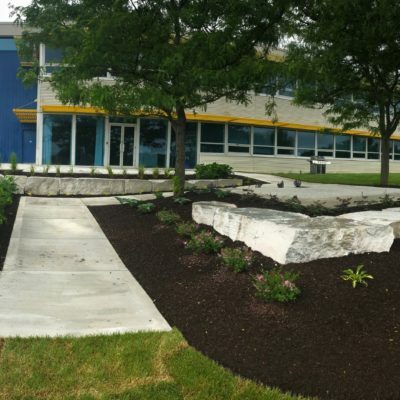 Keep your commercial property looking pristine and clean with our weekly garbage collection services. 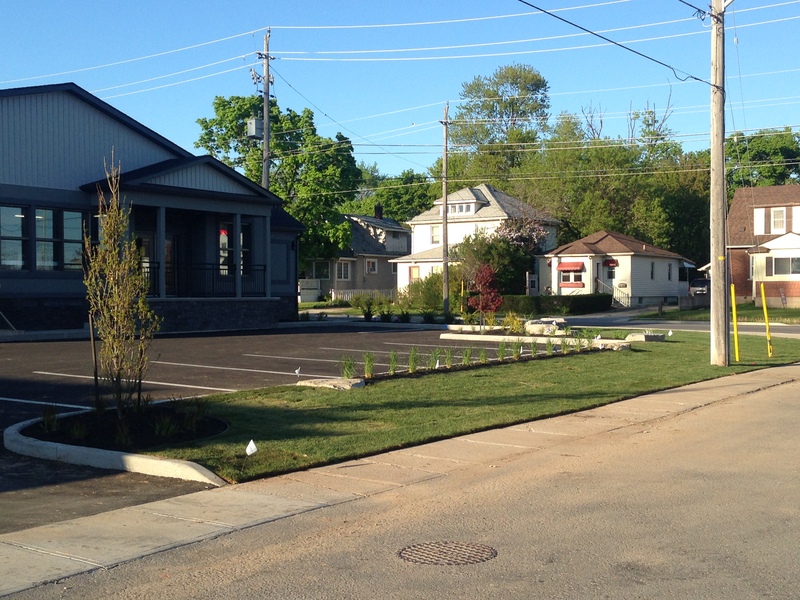 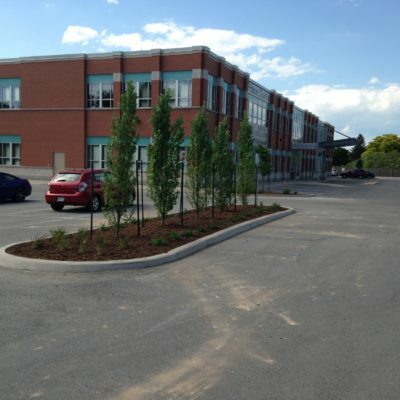 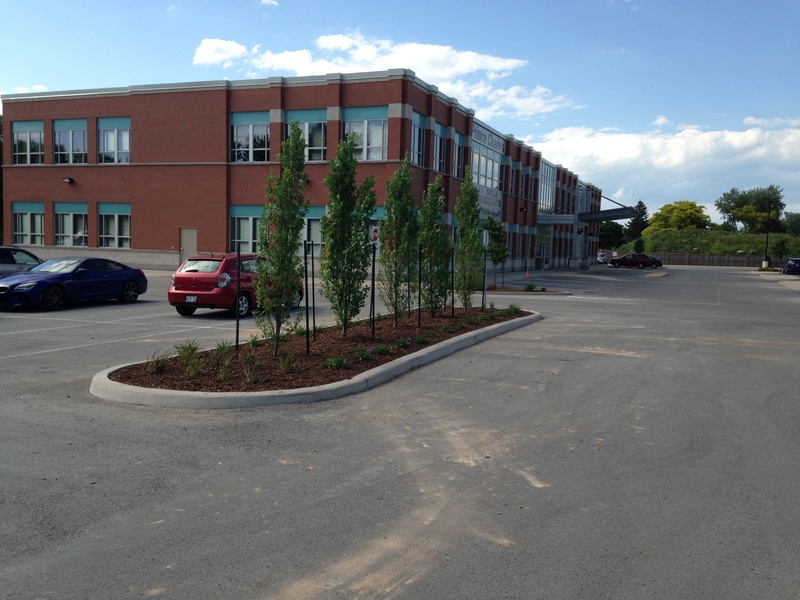 Professional grading and levelling of commercial property driveways and parking lots. 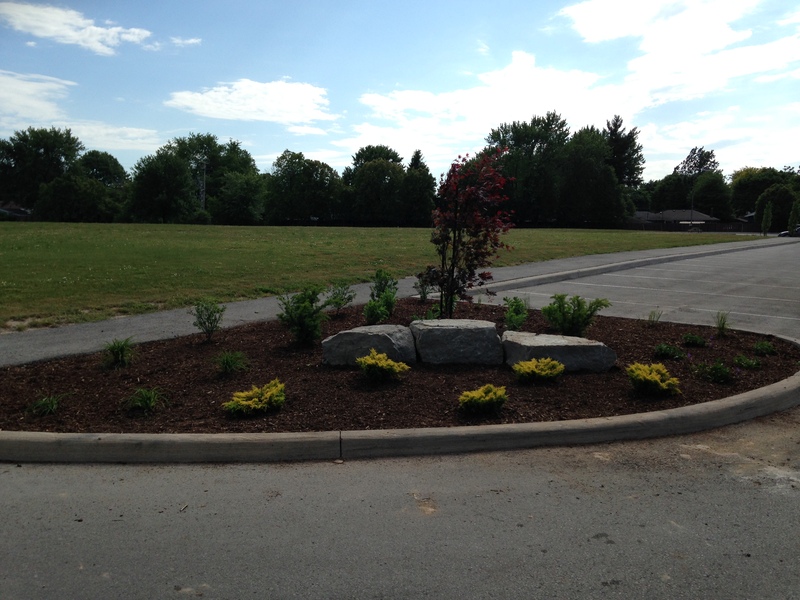 Our commercial bush hogging services can keep your rough grassy areas and high weeds looking neat and tidy. 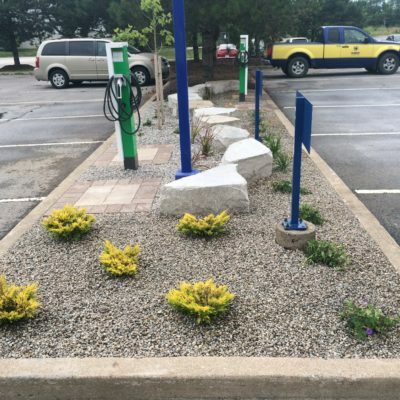 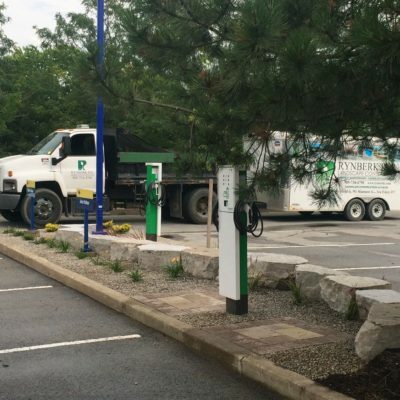 Regular power sweeping will keep your commercial property parking lot looking it's best when customers arrive. 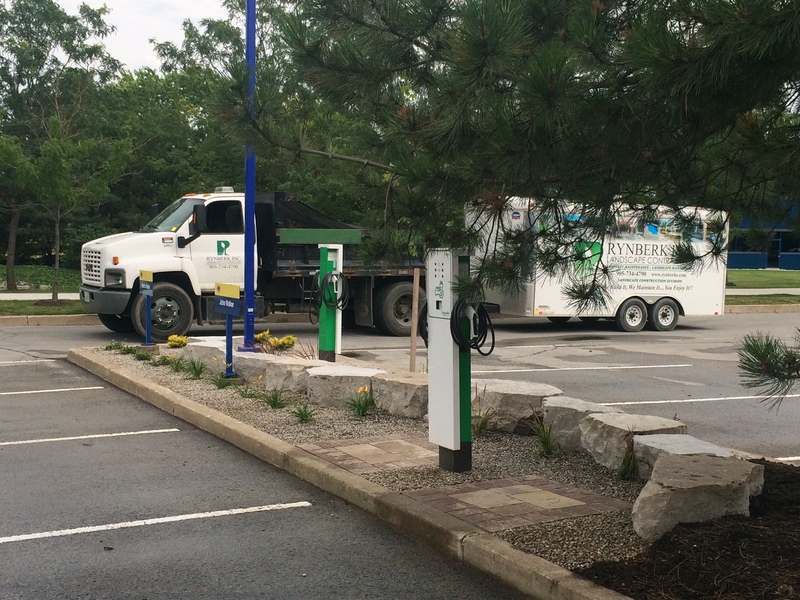 Our fleet of snow removal vehicles can keep your parking lot and driveways clear during the winter months.